Despite Vince's best efforts to film a pivotal scene for Smokejumpers, Verner — who never wanted Vince in the first place — fires him from the movie, forcing Ari and Dana Gordon to try to bring the uncompromising director in line. 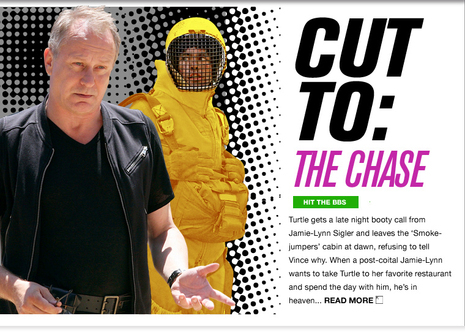 After receiving an unexpected call from Jamie-Lynn Sigler, Turtle goes back to Los Angeles to spend the day with her. While he doesn't reveal his encounter to the guys, he does tell Jamie-Lynn his real name.